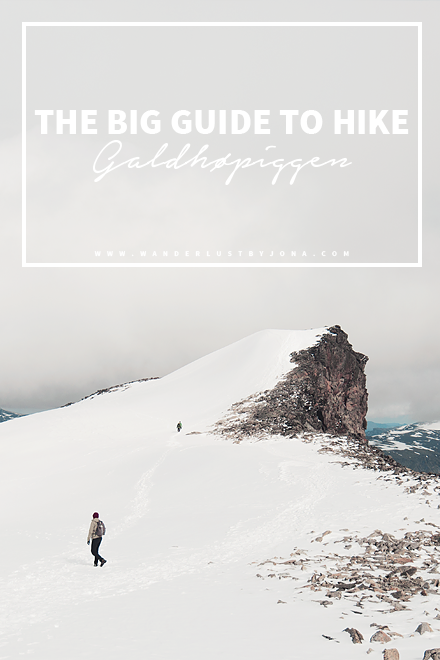 Are you looking forward to hiking northern Europe’s highest mountain, Galdhøpiggen? Awesome, that means you have reached the right place! 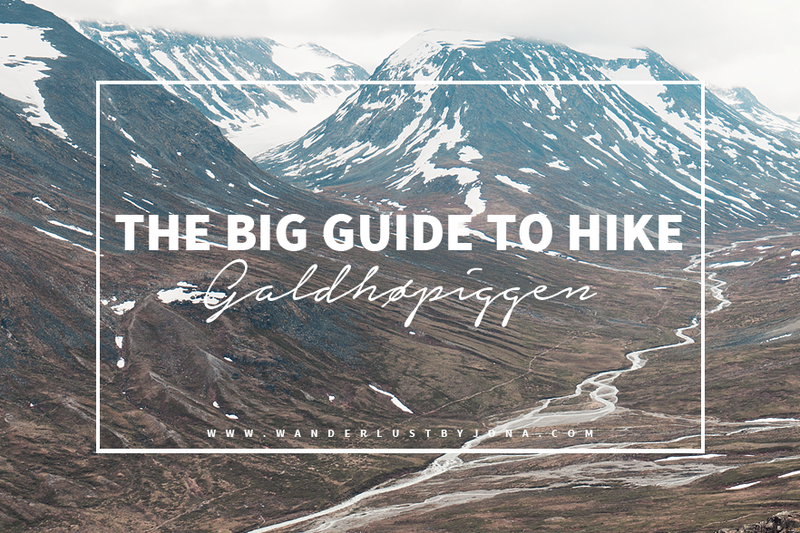 I hiked the mountain in June 2017 together with my boyfriend, my boyfriend’s brother, my boyfriend’s brothers girlfriend and their dog and it was just such an amazing experience that I think everyone that has the opportunity should try – and therefore I’ve done a guide on how to hike Galdhøpiggen! 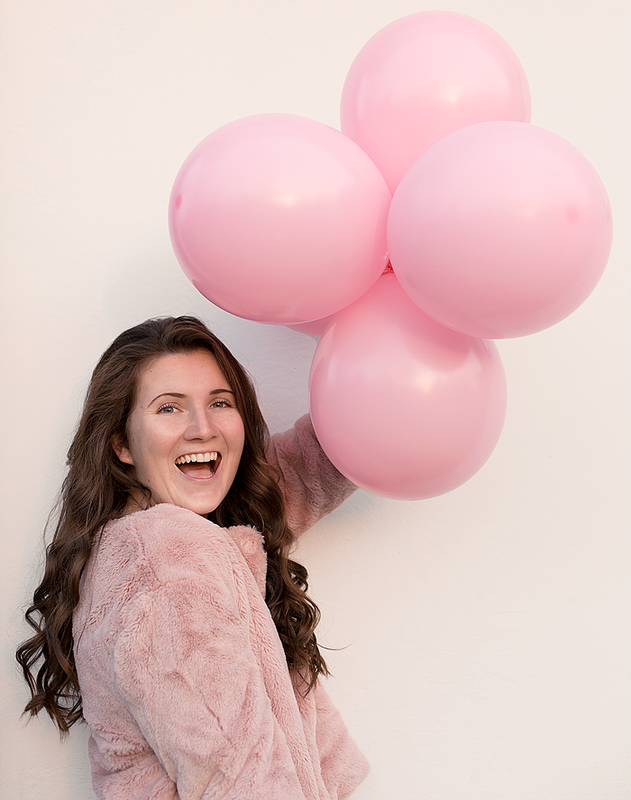 Do you think there is something I’ve missed and are wondering about, just ask me in the comments below! 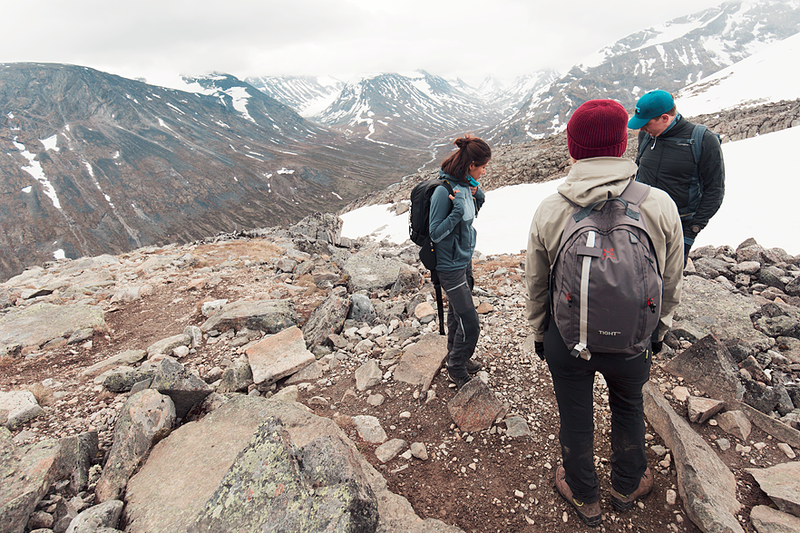 The most common place to start the hike is from Spiterstulen (1104 MAMSL) and Juvasshytta (1841 MAMSL). 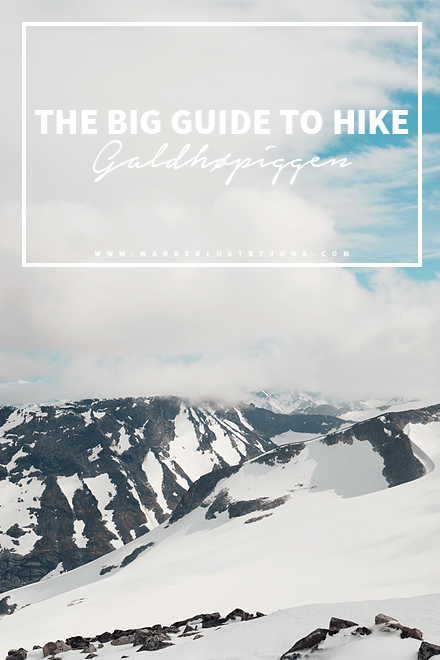 We started from Spiterstulen which is classified as the easy way up since it’s “just a hike”, if you start at Juvashytta you’ll have to cross a glacier and need to bring both ropes and a guide. At Spiterstulen you can just go, no guides or permits are currently needed. I really want to exclaim “ALL!” to this since I live by the theory that you can do anything with the right motivation. 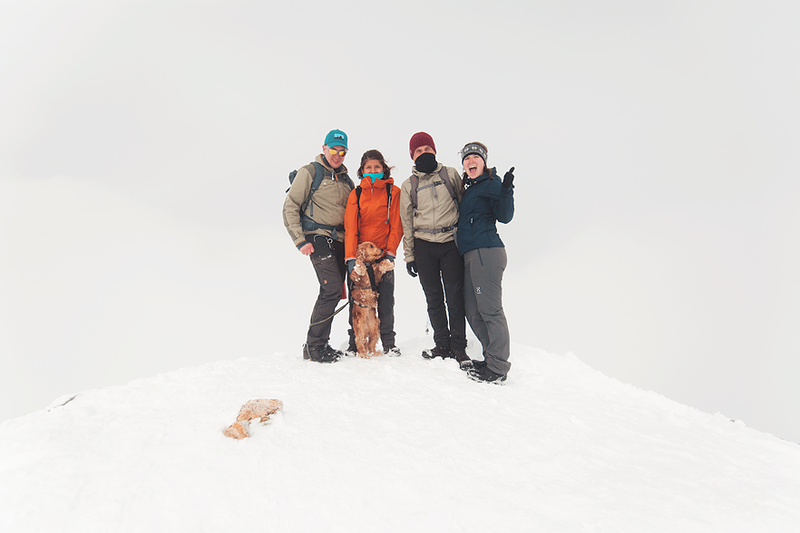 However, I would like to say that you should be in good shape and it is good to have some knowledge of walking in snow – or go with someone who does. I am certainly not in good shape and got up to the top on will power, but I’m not sure if I would recommend someone else to do it, haha! 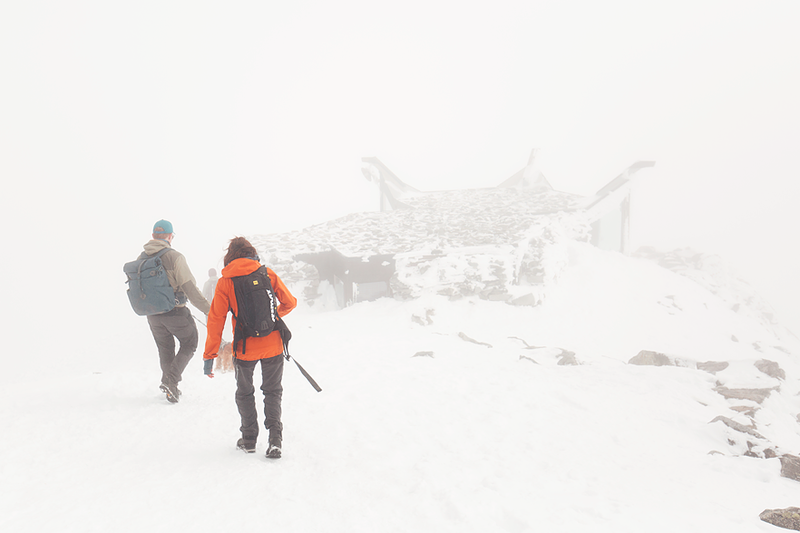 Whatever you do, don’t be one of those who “give up” and call the mountain rescuers – they have far more important things to do than to “save” people who are tired or badly dressed. This is a big problem right now in the mountains, so please think one more time if you are really capable of doing this before you start. On the feet, I wore two pairs of hiking socks, one thinner pair, and one thicker pair so they could rub against each other instead of rubbing against the skin to avoid blisters. 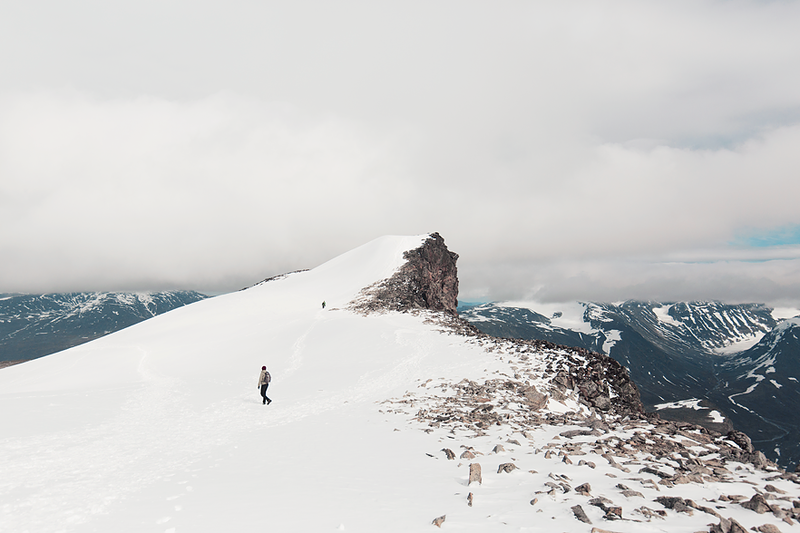 I also wore a pair of hiking boots with Gore-Tex, regular sneakers are not recommended since you will walk in the snow – even in the middle of summer. Camera, obviously! However, I can guarantee that you do not want to carry the entire camera equipment (you will hate yourself if you do, because it get’s heavy!) so choose a camera body and a lens that you usually use (I brought my Canon EOS 5D Mark III + Canon EF 16-35mm f/4L IS USM) and then stick to that equipment. In my backpack, I brought, except for the camera, some food, extra (dry!) clothes, blister patch, a water bottle and fully charged mobile phone. Now afterward, I would also recommend bringing Norwegian money (since there is a little shop at the top) and something to slide down on, perhaps a bum slider, since it makes the way down so much more FUN! Before starting the hike, make sure to eat a big and steady breakfast. Do not even think about hiking a mountain with just a bowl of yogurt in your stomach! On the way up you probably will take short breaks so it’s good to bring some nuts, fruits or power bars to refill the energy. I ate two sandwiches, three power bars, one banana and drank a lot of water on the way up, and ate nothing on the way down. 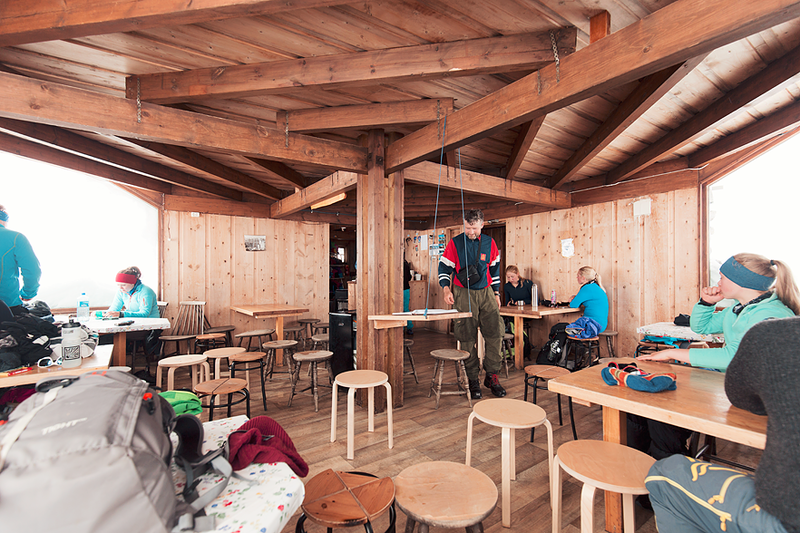 At the top of the mountain, there’s a small cabin with a shop where you can buy sausages and souvenirs so don’t forget to bring Norwegian money. I ate one sausage and drank a jar of coke at the top, and when we got down again we stopped for a pizza on the way home. Think of a snowy hill with some patches of grass and stones. The whole hike is quite even, but sometimes I needed to use both my hands to get up. The snow was quite compact, it usually was possible to walk without a problem, but sometimes you could take a step and sink down so you have snow to the waist. Be careful where you step! 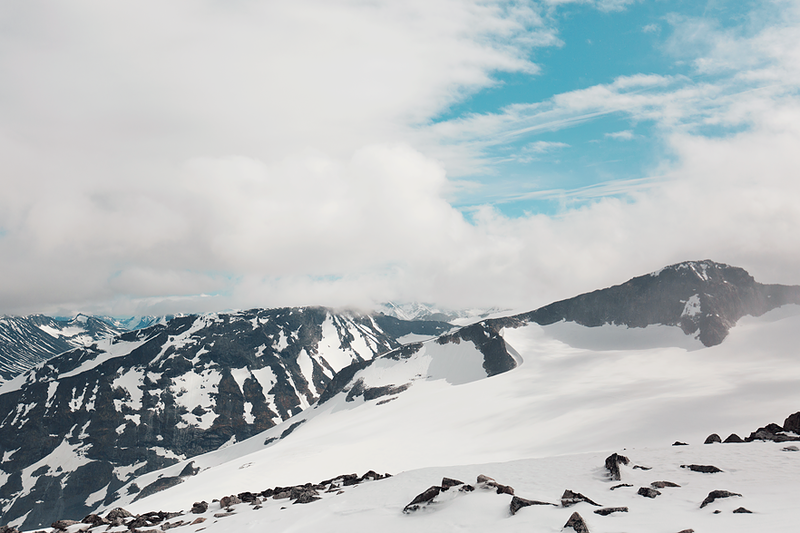 Sherpas from Mount Everest have been to Galdhøpiggen and laid out a trail so you can walk safely on the mountain, FOLLOW THIS TRAIL! It is marked with red markings all the way from the start to the top, and if you go there it’s no risk you will fall off a cliff somewhere. 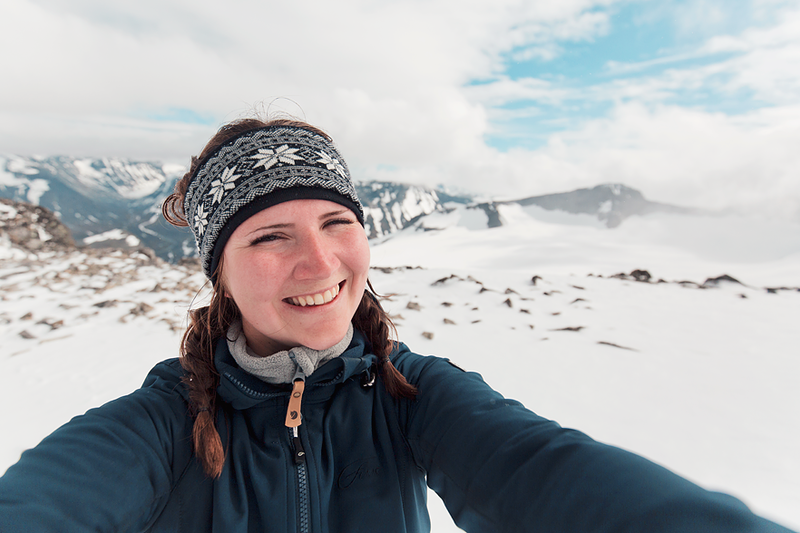 Also, make sure to hike the mountain with someone, and/or have someone at the ground that knows when you started walking – and can notify you as missing if you’re not down again after a reasonable amount of time. Keep in mind that the weather in the mountains changes quickly and even though it was sunshine when you left, it could be a snowstorm a couple of minutes later. Are you on Pinterest? Don’t forget to pin this post so you can find it again. Superbra tips! Drömmer om framtida vandringsresor 🙂 Men måste helt klart öva upp min kondition och styrka först! Så häftigt! Din blogg inspirerar så!!! Wow vad häftigt det ser ut! Amazing! Vill också vandra i de norska bergen nu! Bra tips och jäkligt bra jobbat av dig som gått upp!